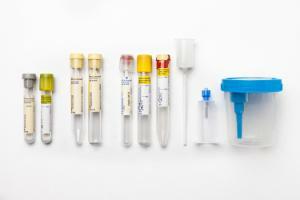 Kits provide a wide array of devices to collect and transport urine samples. Transfer straws can draw urine into an evacuated tube from specimen cups or pediatric collection bags to eliminate the need for pouring. 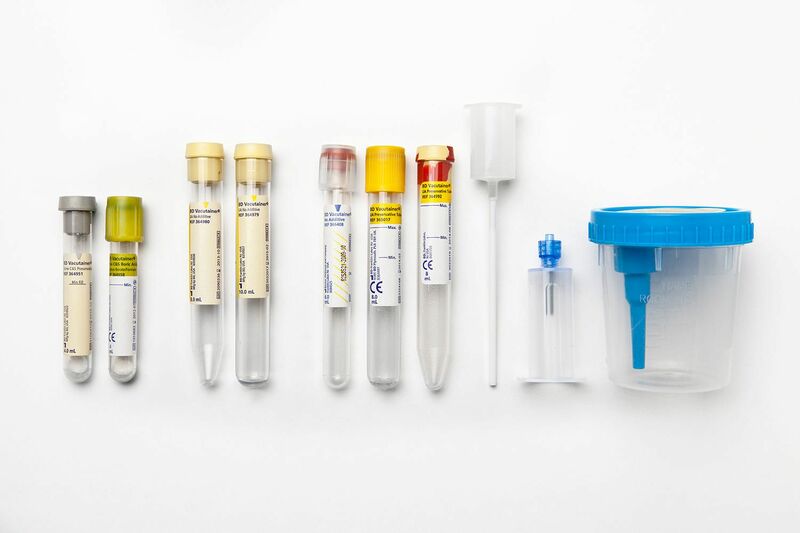 The urine collection cup has an integrated transfer device that eliminates exposure to sample and the need for pouring. The cup is graduated to indicate 120 ml (4.5 oz.) of urine. Individual 16×100 mm UA tubes have either a round bottom and a 10 ml draw or a conical bottom and an 8 ml draw. The Luer-Lock™ access device provides the security of a threaded, locking luer connection in place of a luer slip device. It is also compatible with a female luer connection of needleless IV site designed for luer lock access. Ordering information: The Urine Foley Catheter Collection Kit contains a Luer-Lok™ access device, a 4 ml, 13×75 mm Plus Plastic C&S Preservative Tube, and an 8 ml conical tube. The Urinalysis Cup Kits contain a screw cap collection cup and an 8 ml conical tube, with or without preservatives for urinalysis. The C&S Cup Kit contains a screw cap collection cup, 10 ml tube with preservatives, and soap towelettes. The C&S Transfer Kit contains a transfer straw and 10 ml tube with preservatives. The Urinalysis Transfer Straw Kits contain a transfer straw and either a 10 ml tube or 8 ml tube, with or without preservatives.